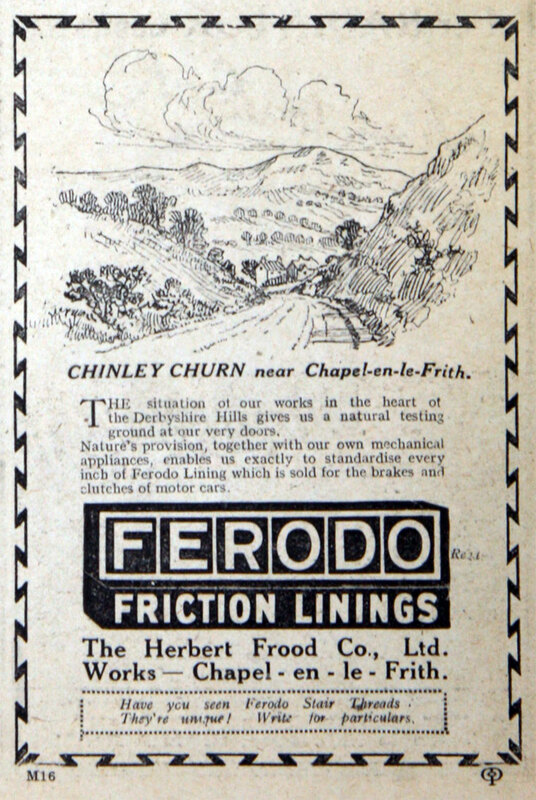 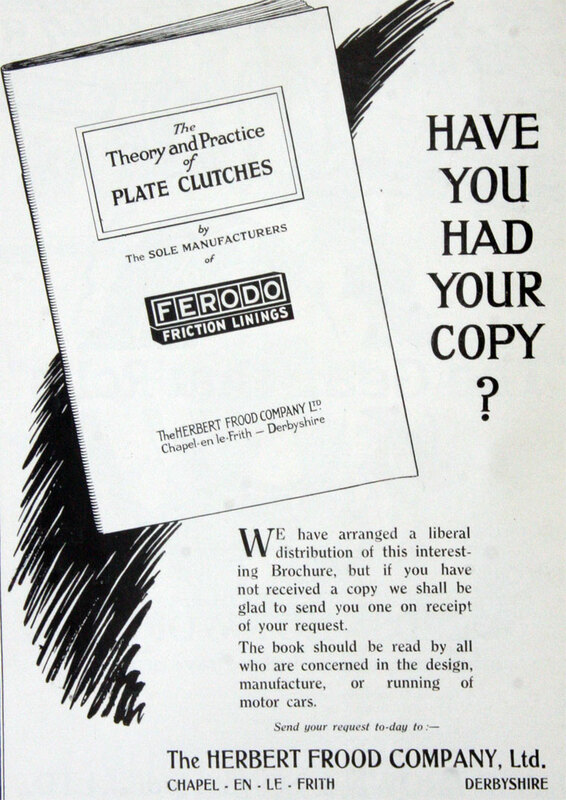 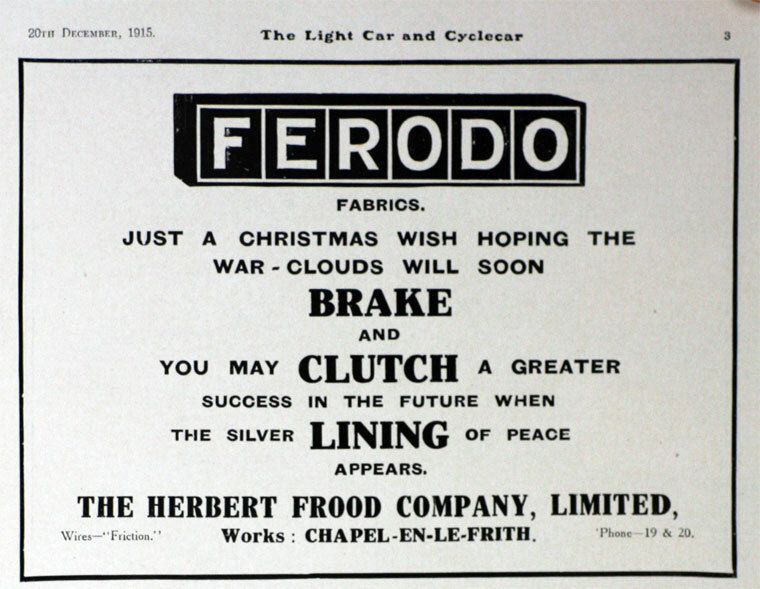 Herbert Frood Company, of Sovereign Mills, Chapel-en-le-Frith, makers of brake and clutch linings, Ferodo. 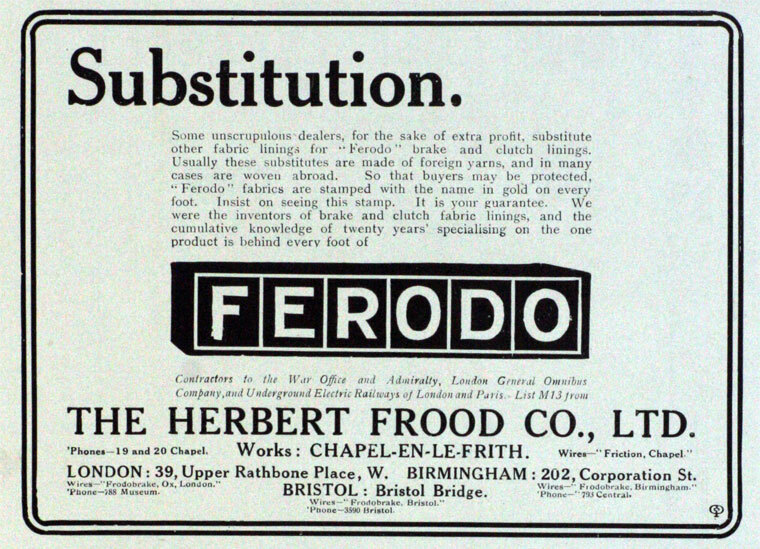 1897 Herbert Frood set up business in Chapel-en-le-Frith, Derbyshire. 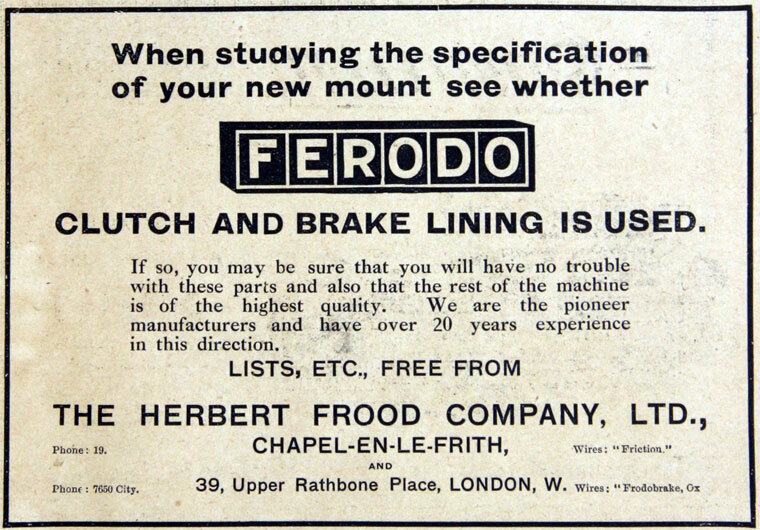 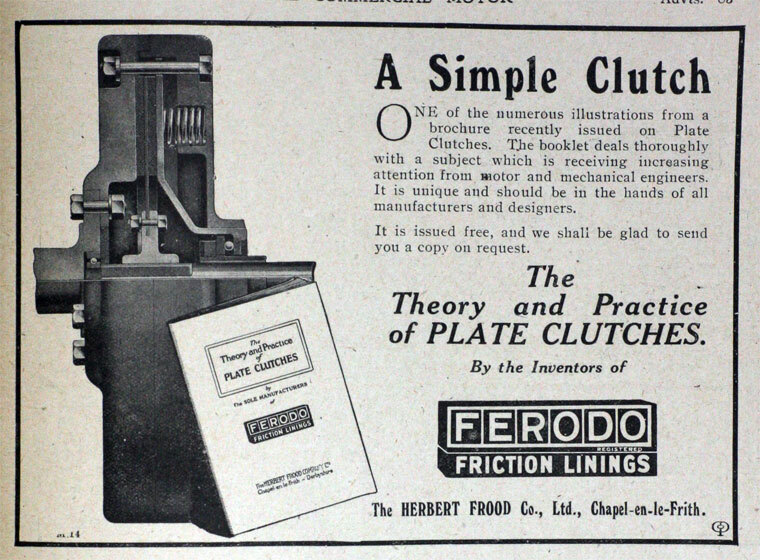 He developed frictional materials for brakes, etc under the trade name Ferodo which later became a world leading company dedicated to the design and manufacture of friction products, especially braking materials. 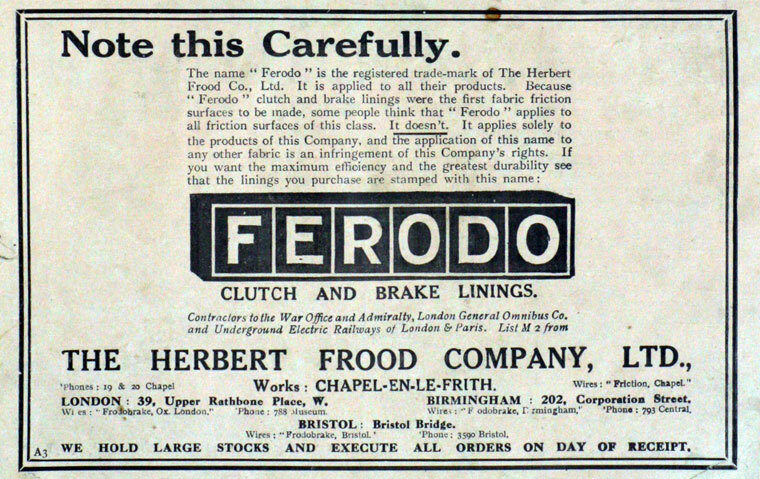 1901 Herbert Frood took out a patent on brake blocks for wheeled vehicles, which he made from cotton cloth impregnated with resin. 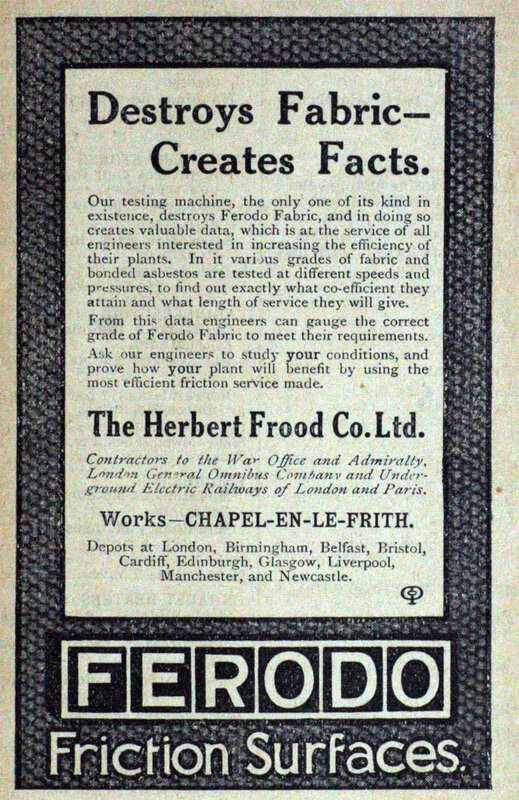 c.1905 Herbert Frood Co was established. 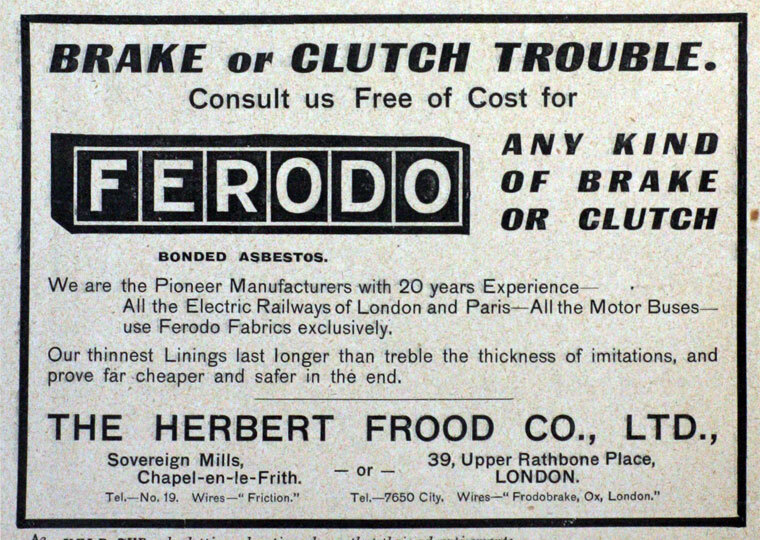 1910 By this time Frood had discovered that asbestos was a better material. 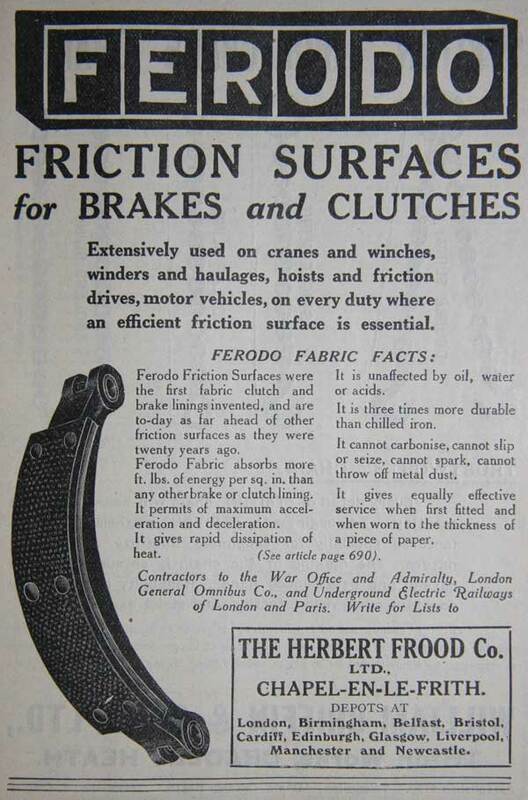 1911 Herbert Frood wrote a letter to the paper explaining how he had approached the task of finding suitable frictional surfaces for use in vehicles where more attention had been given to the development of gears than on finding out how to stop the vehicles in the wet. 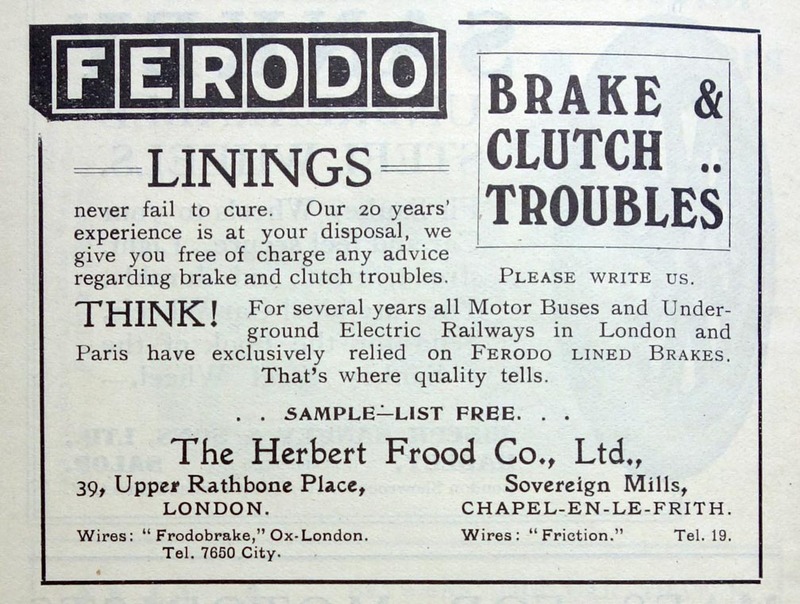 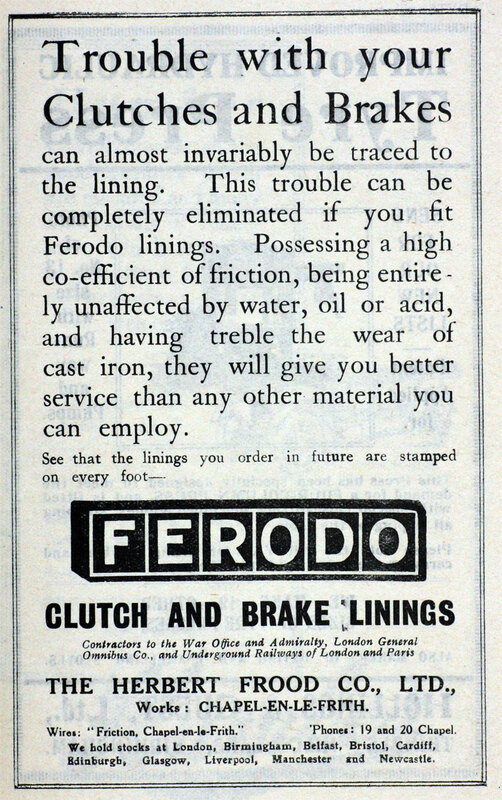 Ferodo brake materials had been in use in London (both buses and on the Tube) for 4 years. 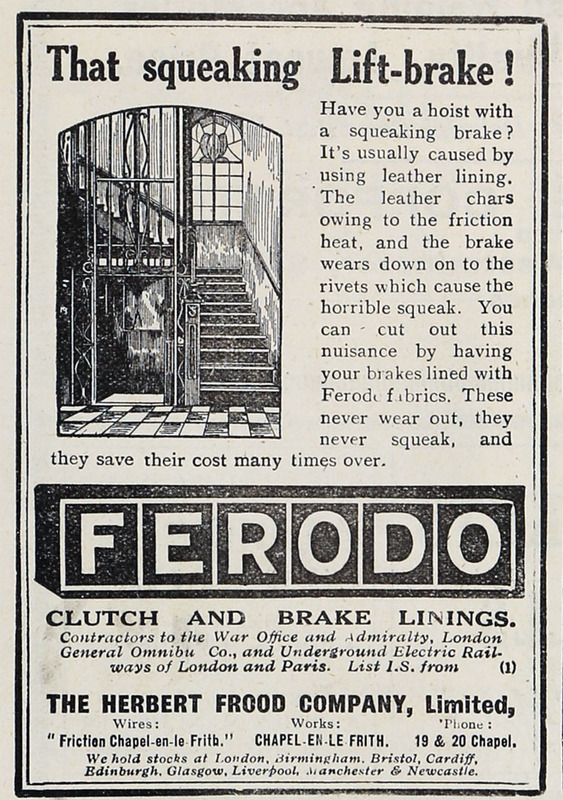 Suggested that it was important to develop better brakes for cranes, etc. 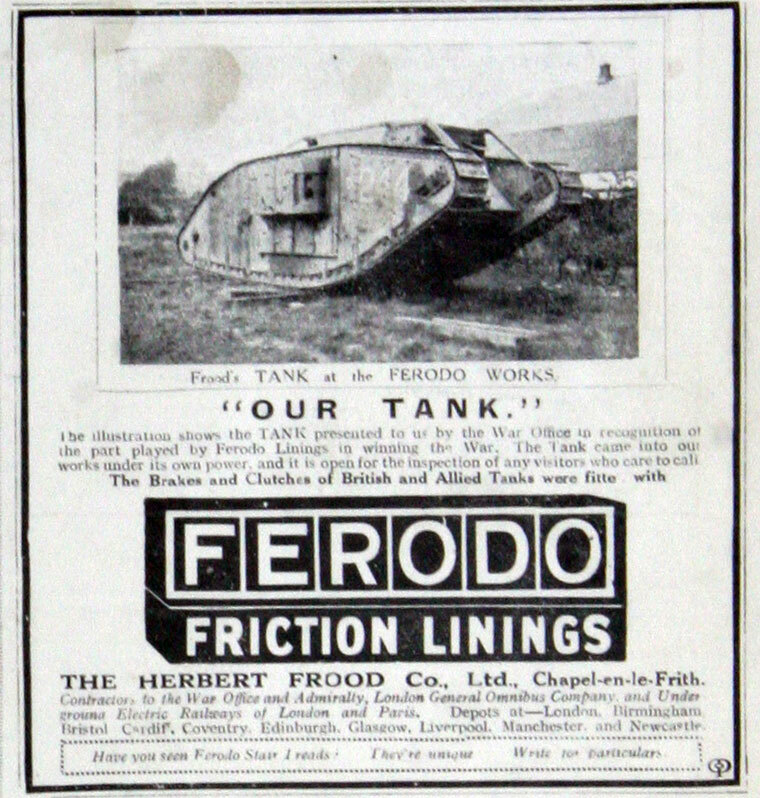 WWI. 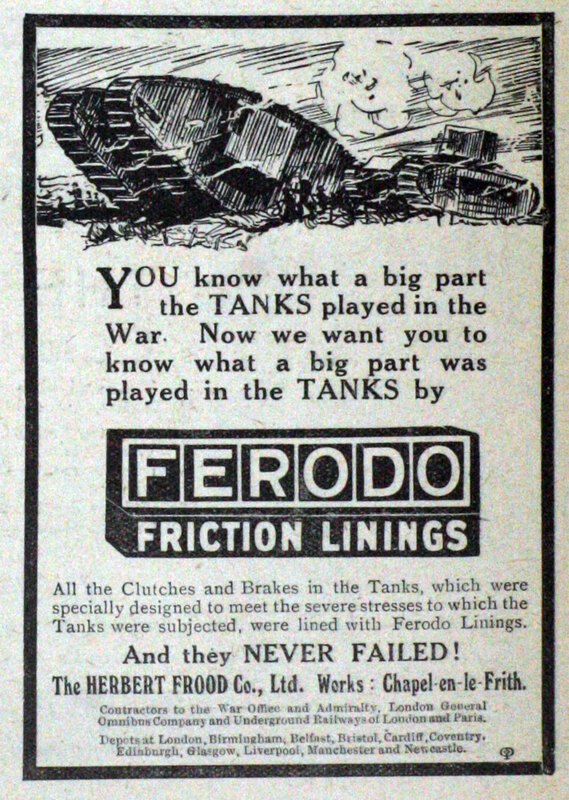 Produced brake linings for armoured cars, tanks and motor transport. 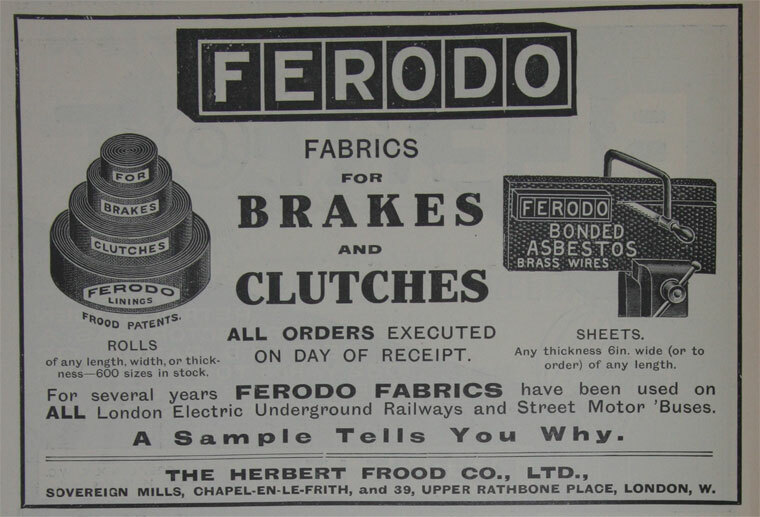 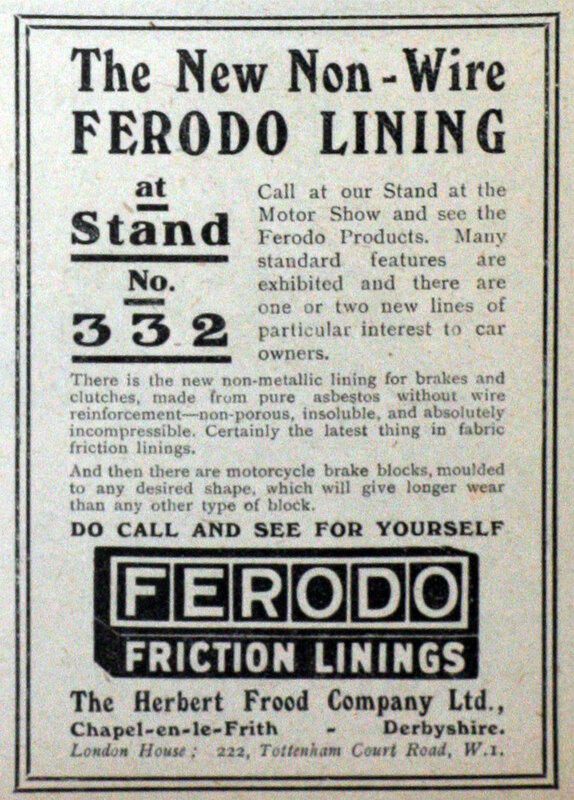 1920 A public company, Ferodo, was formed to acquire and carry on the business of Herbert Frood Co. 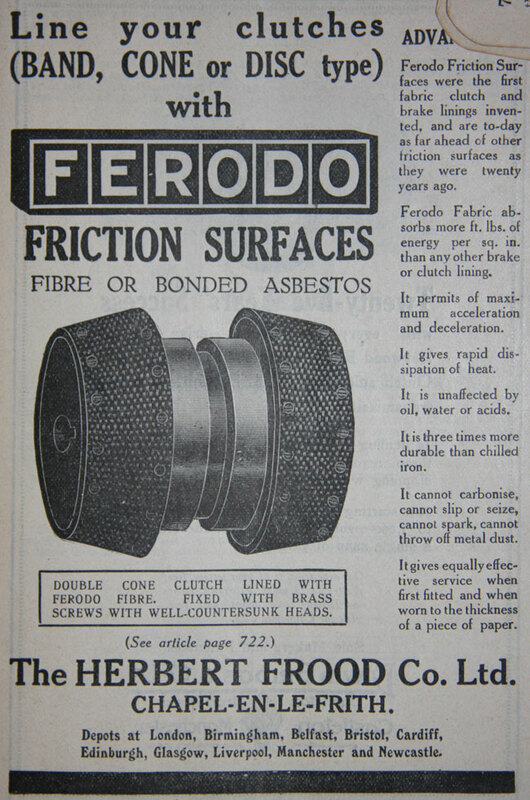 This page was last edited on 22 March 2018, at 11:52.